Nainital: The Uttarakhand High Court Tuesday asked Rishikesh AIIMS to provide for affordable treatment to the poor. 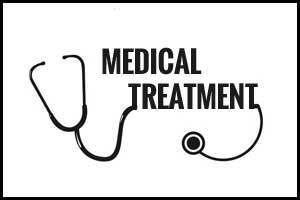 A bench of Acting Chief Justice Rajiv Sharma and Justice Manoj Tiwari directed the premier health institution of the state to ensure that the charges for various medical facilities and other treatment costs must be reasonable and affordable to the poor. The bench gave the direction while hearing a plea by state native Praveen Kumar Singh, who had contended that the poor patients have been affected by a sudden hike in the treatment costs at Rishikesh AIIMS since October 2017. Seeking restoration of the original treatment costs at the hospital, Singh said the increase was to the tune of 10 times the original cost, which must be refunded to the patients. The high court held that the medical fees should be charged at reasonable rates on basis of the financial condition of the patients.